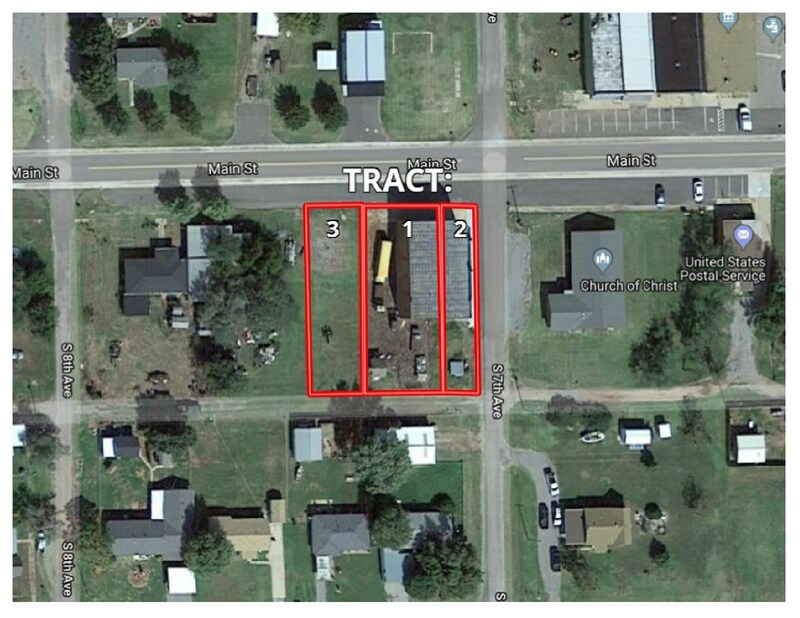 Arapaho, OK Bank Building for Sale and Commercial Lot. 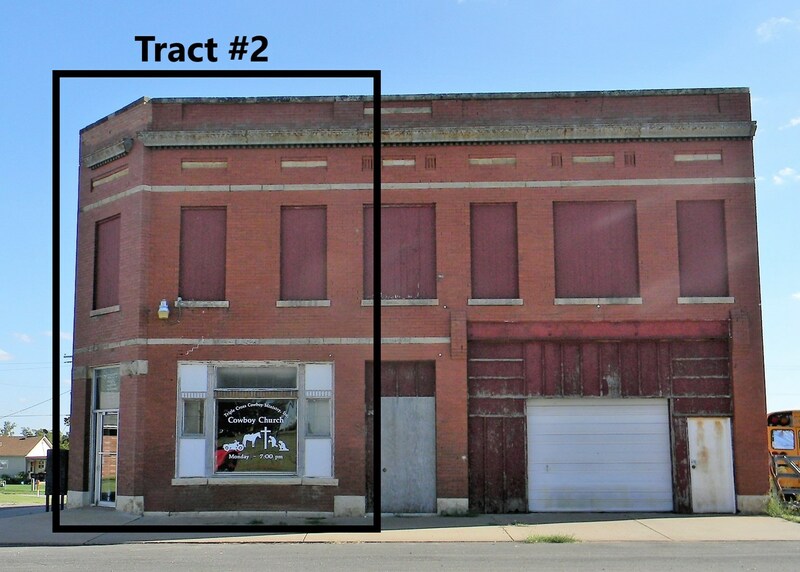 The commercial building will sell as two tracts. Tract #1 is the west side of the building and the fenced-in lot. Tract #2 is the east side of the building. Tract #3 is the commercial lot that lies next to the fenced-in lot on the west side of the commercial building. Tract 2 – 700 Main Street, Arapaho, OK 73620. The east side of the two-story building has approx. 2,000 sq. ft. The bottom level consists of a large open room, a vault, large office area, storage room, a restroom, and antique ceiling tiles. The upper level has a large meeting room and a small office area.